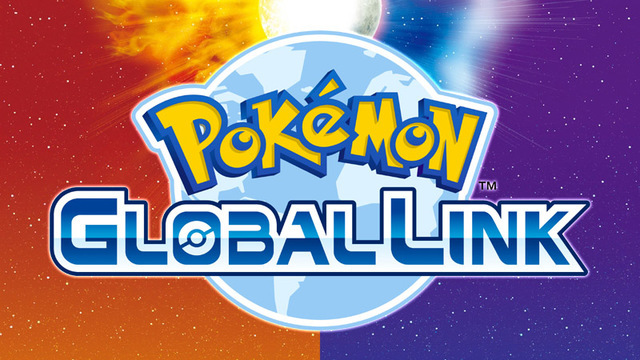 The Pokémon Global Link (PGL) is a multiplayer feature which is run using the Nintendo Wi-Fi Connection. The Gen VII version of the Global Link launched on November 18, 2016. You are able to use the Pokémon Global Link website after becoming a member of the Global Link and registering your Pokémon Sun or Moon game. To register your game to the Pokémon Global Link, first go to Festival Plaza and interact with the PC in the castle to create a Game Sync ID. Next, make sure you have a Trainer Club Account on Pokémon.com. If you don't have one already, you can create one by going to the Global Link website and clicking "Sign Up" on the left of the page. Finally, register your game on the Global Link website by putting in your Game Sync ID code, which you can view at any time on the PC in Festival Plaza. The Profile displays information about your activity on the Global Link and, to a limited extent, in your game. By clicking on Privacy Settings in the top right corner, you can select which info can be seen by other people visiting the website. If your privacy setting is set to "Everyone", you will also be able to share aspects of your Profile on social networks. Some aspects of your profile may take some time to update after a game is synced. This page lists your Game Sync ID, time of the most recent Game Sync, the 3DS' location setting, number of Pokémon in the Pokédex, total play time, the date the adventure was begun and (if applicable) the date when the Hall of Fame was first entered, and lastly the number of Z-Crystals obtained. The Game Sync ID and play time cannot be viewed by other people. This page displays your record for the current or past seasons of Rating Battles and records of recent matches. This page shows info about your QR Rental Teams. These are Battle Teams you can publish on the Global Link for other people to use. At the top of the page you can see your Builder Rank, amount of teams you can make public, and how many times your teams have been used. The more your teams are used, the higher your Builder Rank will be. You get to Builder Rank 2 when your teams are used 20 times. With a higher Builder Rank, you will be able to publish more teams. Your Battle Teams are shown beneath your Rank. In the games you can set up a maximum of six Battle Teams, which can each be registered as a QR Rental Team. You can do this by selecting "Register" next to a Battle Team, after which you can name the team, add a brief message, and select the battle format this team should be used in. At builder rank 1 you can register up to three Battle Teams as QR Rental Teams. You can view your current QR Rental Teams by selecting the "Your QR Rental Teams" tab. If you want to unregister a Rental Team, select the trash icon next to the team you want to delete. This page displays records of your online competition matches and a history of your participation in online competitions. Friendly Competitions are competitions hosted by players. On this page in your profile you can create your own Friendly Competition, view the competitions you entered in, and view information about recent matches, competitions you've entered in, and competitions you've hosted. This page displays records of Pokémon you have traded over the Global Trade Station (GTS). It also displays the Pokémon you currently have deposited (if any) and the Pokémon you want for it. This page displays your roster of VIPs in Festival Plaza. In your account settings you can edit your Trainer Club profile, change your privacy settings, and remove and register games to your account. The Rating Battles section shows the Trainer rankings and Pokémon rankings for different types of battles or over all battle types. Picking a player shows their records, while selecting a Pokémon shows various statistics for it, including its top moves, Ability, Nature, held items, and teammates; its top moves used to win and the top Pokémon it beat; the top moves used to defeat it and the top Pokémon that defeated it. Next to making your own QR Rental Teams in your profile, you can use Rental Teams shared by other players. The QR Rental Teams section shows QR Codes of frequently used QR Rental Teams, Trainers whose QR Rental Teams are frequently used, and QR Rental Teams of Trainers with high ratings. It has been hinted that teams used by the winners of the Pokémon World Championships may be made available for rental in the future. By selecting "See more", you can pick a battle format and a period to view more Rental Teams. You can also select "QR Rental Team Search" in the top right corner to search for Rental Teams with a specific Pokémon, move, Ability, and/or item. You can use a QR Rental Team by selecting "Scan a QR Code" on the left when you choose a Battle Team in Link Battles, Free Battles and some Rating Battles at the Battle Spot, Battle Tree battles, and Battle Royal Dome battles. The Rental Team you've scanned disappears from your list of Battle Teams as soon as you take a break from battling. You can sign up to participate in special online competitions using a registered game. Online competitions may have special rules and regulations, and all players start the competitions with the same Rating. For more information, see the Global Link online manual. The Online Competitions section of the Global Link shows current and past competitions. Clicking on one of the past competitions allows you to view details of that competition, including the regulations it used, its final rankings, and statistics about the Pokémon used, just like in the Rating Battles section. Next to Online Competitions, you're also be able to host and participate in Friendly Competitions. Friendly Competitions are hosted by players, who can decide their own regulations. You can choose to battle with Trainers all over the world via the Internet (online format), or battle with Trainers nearby via infrared communication (live format). In the Friendly Competitions section you can view "Competitions Accepting Entries" and "Past Competitions". You can choose to view Single Battle or Double Battle competitions, and you can select which Pokémon are eligible (Alola Pokédex, National Pokédex, or Legendary Rules). Select the button in the top right corner to host your own competitions. To host a competition, select "Host a Competition" in the top right corner of the Friendly Competitions page (or "Create a Friendly Competition" from your profile) and then create either an online or a live competition. Next, you can enter a name for the competition and a summary, and you can select the battle format, eligible Pokémon, if Z-Crystals and Mega Stones are allowed, date and time period, time limits, number of battles allowed per day, and if the competition should be public or private. Then select "Confirm the info" and then "Register" to create the competition. If you have selected your competition to be private, you can set eligible Trainers to be Everyone or Registered Trainers only. When selecting "Everyone", make sure the privacy setting for your profile is set as "Everyone", so other Trainers can find you by your Trainer name on the Friendly Competitions page and select the competition. You can also share the URL that shows the competition with them. When choosing "Registered Trainers only", register the saved data ID codes of participating Trainers and invite them. When you've created a live competition, select Profile, then Friendly Competitions, and then "Display the QR Code" for the competition, so the participating Trainers can scan it to participate. An online competition must reach 20 entries in order to be held, and you can't cancel or delete a competition after it's been created. Furthermore, you can only create a new competition after the ranking of the previous one you hosted has been made public. Live competitions can only be created once a day, and can also not be canceled or deleted after being created. To participate in an online competition, select one from the list of "Competitions Accepting Entries" on the Friendly Competitions page, accept the notes and regulations, and select Confirm. You also need to do this if you have created the competition yourself. Next, select "Display the QR Code". Now go to the Friendly Competition section in Battle Spot in your game, select "Scan a QR Code" and scan the QR Code on the Global Link. Register a Battle Team to use and you're ready to go. Once the competition starts, go to the Festival Plaza in your game, select "Friendly Competition" in the Battle Spot, and scan the QR Code of the competition you want to participate in. The Ranking of a Friendly Competition will be announced the next day after the competition ends. To participate in a live competition, select "Live Competition" from the main menu in your game. Then select "Start the Live Competition" and "Receive via QR Code". Scan the QR Code of the live competition and register your Battle Team. Once every participating Trainer has registered their Battle Team, the competition is ready to begin. Face your Nintendo 3DS system towards your opponent's system and select "Find an Opponent" to start a battle. Note that the history of the competitions you've participated in, your battle records, and your rankings earned will not be saved. End the competition by selecting "Cancel Participation".